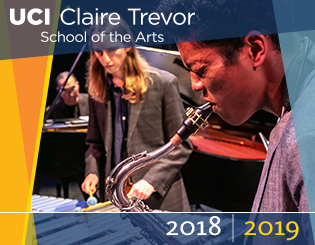 The Leo Freedman Foundation Fellowship is used to supplement financial support packages of admitted MFA students in the Claire Trevor School of the Arts. Two awards of $7,500 each will be made per year. Preference will be given to students from Orange County first, then California. Complete and submit the LFF application form outlining the student’s connection to Orange County and/or California. Optional: briefly discuss the student’s potential for success. Optional: briefly discuss how the student would improve the quality and diversity of our student population and why you believe that this fellowship will help recruit the student. The application deadline is March 7, 2019 at the end of the business day.